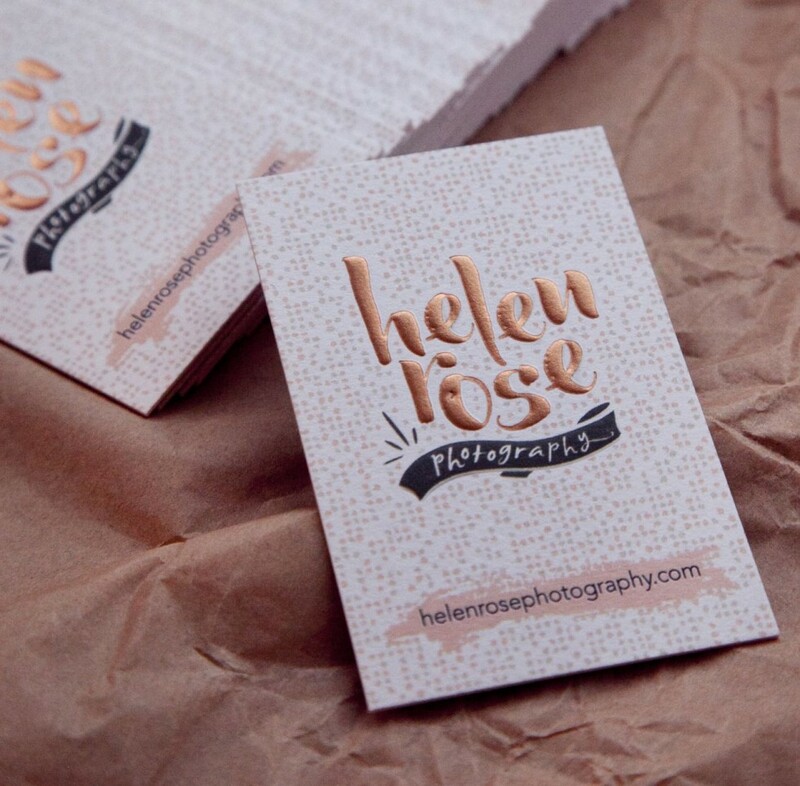 ABOUT: Helen contacted Paperknots looking for a new brand that reflected her clean, fresh and fun style of photography. 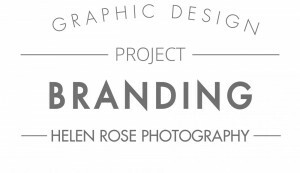 Offering maternity, family and wedding photography, it was important that Helen’s new brand suited each of these sectors, as well as her personal style. 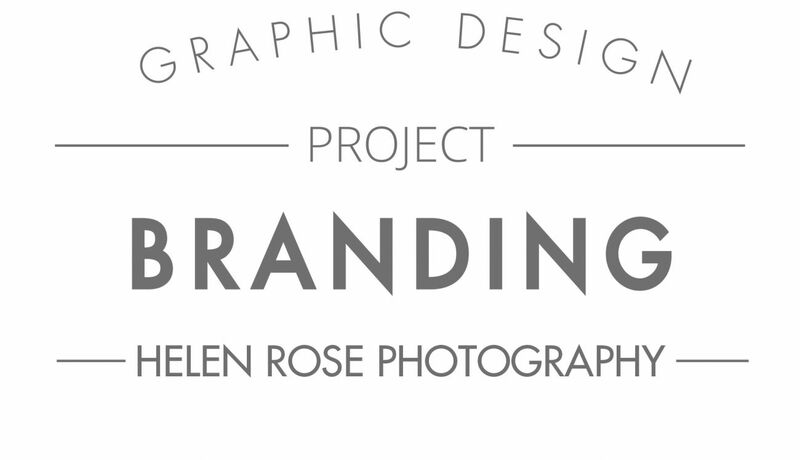 Steering away from corporate looking fonts, a playful brush script font was created to give a more personal touch, along with an illustrative ribbon banner and a decorative background. A colour palette of muted greys and blush and a contrasting metallic copper gave a stylish and contemporary finish to the brand. Finally, to add an element of fun, we sketched a series of quirky illustrations to use across the website and social media. 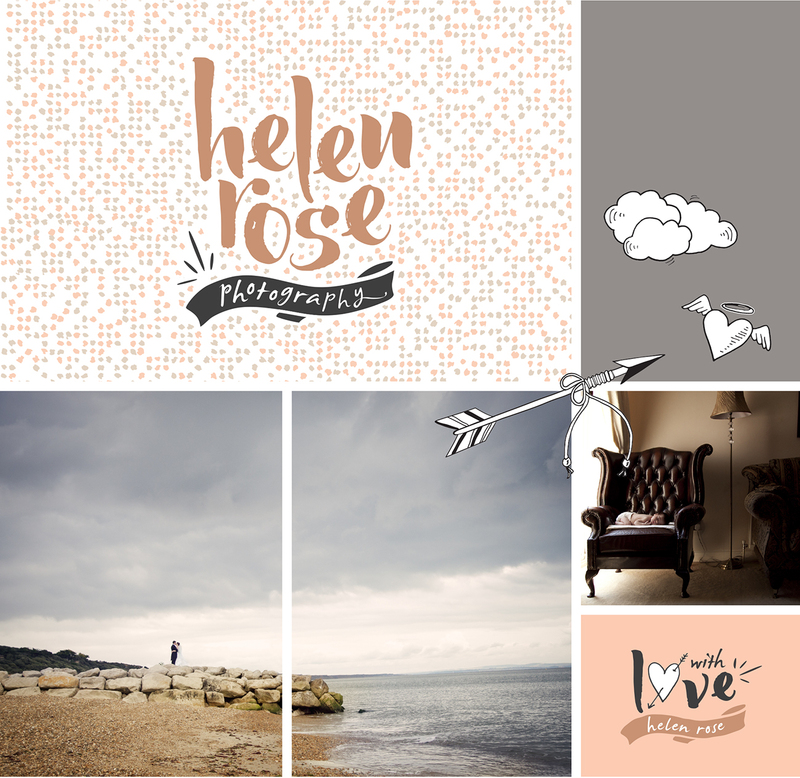 When it came to business stationery, Helen wanted something a little extra special to represent the quality and attention to detail she pays to each of her clients. Given this fantastic brief and using our expertise in delicious paper goods and print finishes, we designed these yummy business cards on a super luxe heavyweight cardstock, with copper foils and embossing to the logo area. 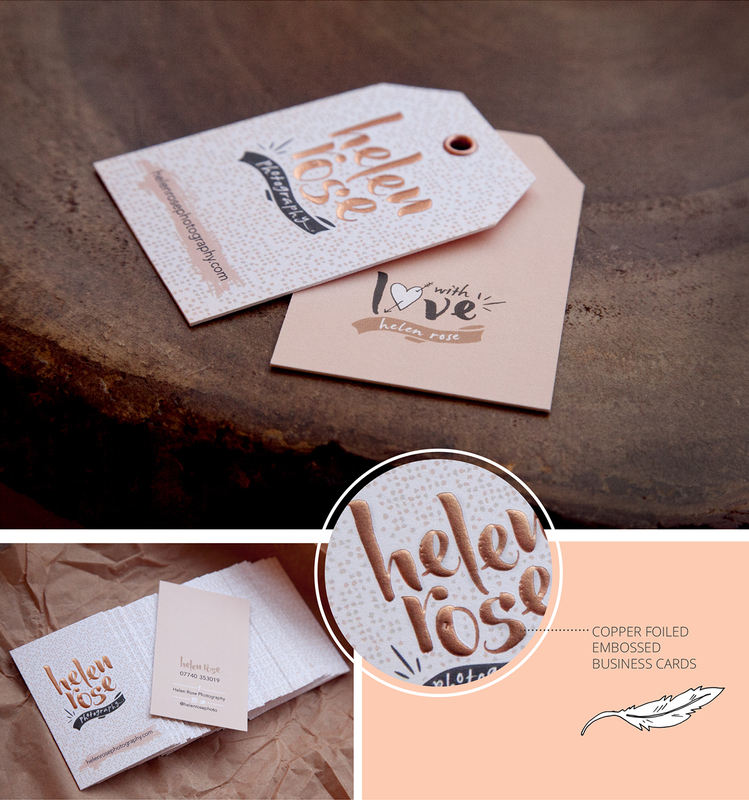 We also created matching tags with copper eyelets for Helen to use in her packaging to clients.